Cox Memorial Funeral Home & Crematory officially opened Friday, February 1, 2008. While we are a new firm, our staff and associates are not lacking in professionalism and funeral knowledge. 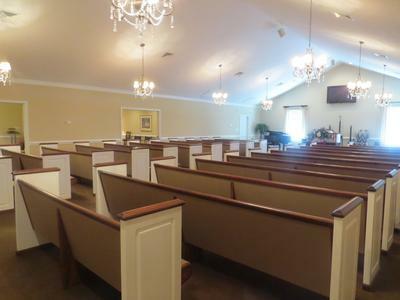 We offer a spacious chapel, with beautiful, warm lighting. 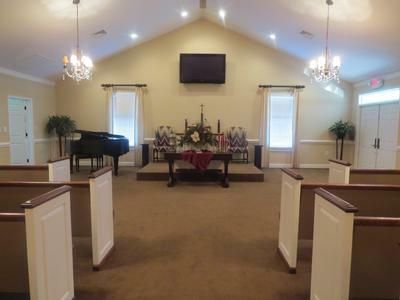 Our chapel has a 58" HD Plasma Flat Screen for families to watch memorial DVD's, and we have a gorgeous black baby grand piano, donated in memory of Donnie Cox. 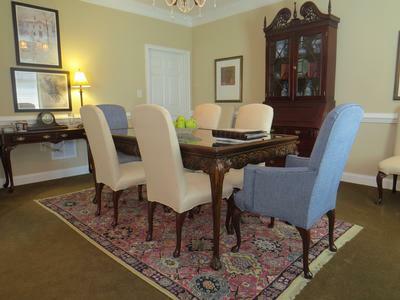 Exquisite viewing/visitational areas that can be used as one large room, or divided into two, if needed. These rooms can also be utilized as comfortable over-flow rooms, should the chapel reach its capacity. A comfortable viewing area for our families with cremation preference located a glass pane away from the crematory. 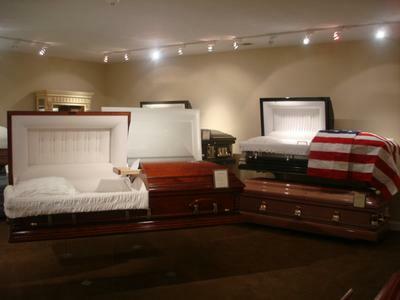 A convenient overhang right outside the chapel for those rainy, cold days will limit outside elements to the casket and help immediate family members to attain their vehicles in a quick manner.